In 1874, the Village of Glens Falls adopted a new charter. In the new charter there was a provision to establish a police department. Four men were appointed to serve, but there was no money to pay them. In June of that year, voters turned down an appropriation of $1,800 to fund the department. Village trustees then raised $500 to pay for some limited police services. Village President Jerome Lapham raised a subscription to purchase uniforms for the four original members of the force. Melville Bitely, Martin Brayman, J.D. 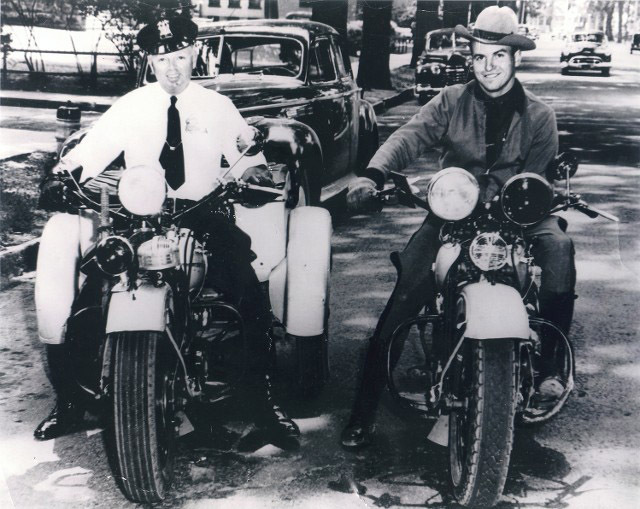 Wright and James O’Leary were the first four members of the Glens Falls Police Department. Village officials established three police districts in 1874. These were the area west of Glen Street, the area between Glen and Ridge Streets and that section of the village east of Ridge Street. Between the hours of 9 P.M. and 4 A.M., one officer was assigned to each district. The fourth officer worked the day shift. 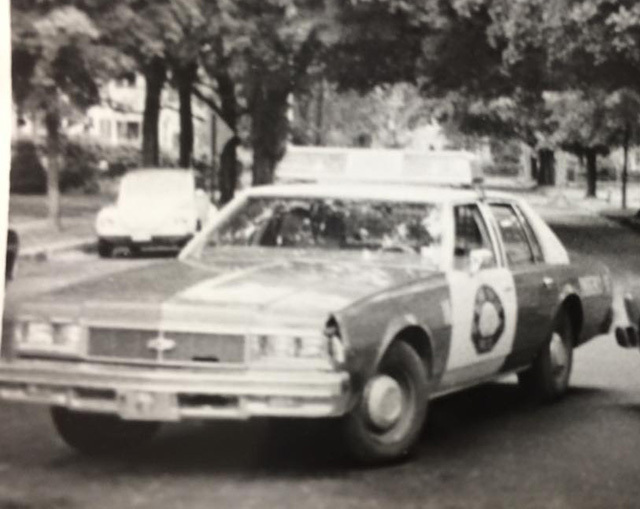 There wasn’t much for the day officer to do in these pre-automobile days. He did have to enforce a village ordinance that prohibited anyone from leaving a horse or team of horses on a village street without being tied; but that was largely it. There was some serious crime in those early days. Officers had to deal with a bank robber known as Buck Davis. Davis was not a violent person, but he was called “a bank buster deluxe.” Whenever there was a bank robbery, everyone searched for Buck. Once he was arrested on a bank robbery warrant from Troy and confined to the village lockup. 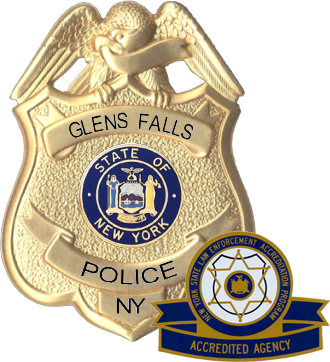 At this time the village lockup was on Glen Street where today you will find the offices of the Glens Falls Civic Center. When officers locked him in his cell, Buck told them he would not be there long. A few minutes later, while the arresting officer was standing on Glen Street discussing the case with the district attorney, Buck walked by. He had picked the cell’s lock and walked out of jail. He was quickly apprehended and returned to the cell where an officer was assigned to watch him. In 1875, village taxpayers again voted on appropriations for the police department. Apparently, the informally organized officers had made an impression on the taxpayers. This year they elected to provide $2,000 to formally organize the department. R.Augustus Haviland was appointed the department’s first chief. 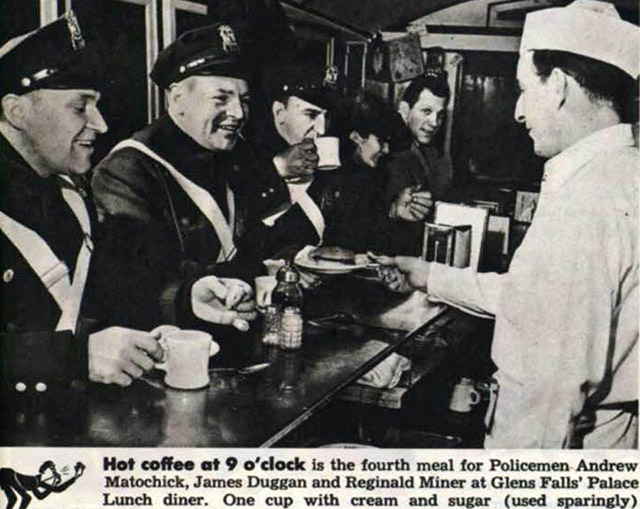 His patrolmen were Dennis McSweeney, John Lamora and Cornelius Mahony. The department changed with each election. When a Democratic village administration won the election, they would put their friends to work in the police department. Likewise, a Republican administration appointed police officers who shared their views. The position of chief of police also changed with virtually every election. Haviland remained chief for three years. In 1879 and 1880, Melville Bitley was chief. From 1881 to 1884, the chief was Reuben Doty; 1885, John Donohue; 1886, Bitley was again appointed chief; 1887 to 1889 saw Dononhue’s second term; 1890 to 1897, Philip James Cooney; 1898, Morris Robinson; 1899 to 1902, John Buckley; Morris Robinson served again in 1902; Edward Patterson and Nicholas Lynch also served as chief in 1902; Buckley served again in 1903 and 1904; in 1905, William Clothier was chief. The early chief’s job was not for someone seeking job stability. Finally in 1906, there was some stability in the police department’s administration. Fred Jenkins was appointed chief in that year. When the village became a city in 1908, a civil service commission was established to appoint police officials. This removed some of the politics involved with the appointment of a police chief. It also resulted in Jenkins serving as chief until his death on November 22, 1932. Chief Jenkins led the department through some of it’s most difficult times. Labor unrest in the transportation and manufacturing industries was challenging for department members during these times. Officers were outnumbered by a thousand to one as they tried to control unruly strikers. The officers did not always win these confrontations. But, in the end, the crowds were brought under control. The police department’s next challenge came with prohibition. The main street in Glens Falls is also Route 9. In the days before the Adirondack Northway, Route 9 served as the main route from New York City to Canada. This popular highway was called “The Bootleg Trail.” Glens Falls is conveniently situated halfway between New York and Canada. Bootleggers who liked to travel under the cover of darkness could only make it as far as Glens Falls before it was daylight. They would find a place to hide in this area and resume their travels the next night. This resulted in a number of seizures of illegal alcohol by city police officers. It also resulted in Glens Falls Police Officers being involved in a number of high speed shoot em-up chases. But these were not the only prohibition-type crimes city officers had to contend with. Diamond Jim Brady and other flamboyant prohibition characters hung their hats in our city. With them came the murders that were common among these gangsters. There were a number of murders in the city as gangs fought to gain control of bootlegging. And, as was common at the time, when a gang-style murder took place, no one would see anything or know anything about the crime. Many went unsolved. The gang’s best weapon was intimidation. They used this weapon well. With the repeal of prohibition, gambling became the money making choice for gangsters. Gambling was tolerated for a while. When officials decided to enforce gambling laws, it took a long time to eliminate it. Finally, after a lot of work by some very dedicated officers, gambling was brought under control. The next few decades were ones of growth and modernization for the department. Like everywhere else, drugs became a priority for the department. For a number of years, many different approaches to combating drug crimes were tried. From undercover investigations to paid informants, the department did all it could to control drug activity. Like most police departments, we made some progress and had some set backs. Overall, our efforts were successful. 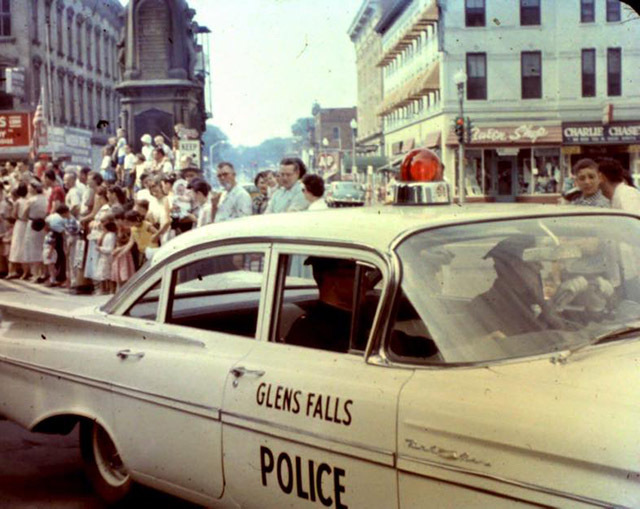 There have been many changes in the one hundred twenty-plus year history of the Glens Falls Police Department. We have evolved from a four man department that didn’t know if they would have funding for the next year to a modern police agency who’s proactive approach to law enforcement has prepared it to be an effective and productive law enforcement agency able to meet the needs of it’s community in the next century.